Back to the present. Here is the last project of architect Frank Gehry for a new skyscraper in Manhattan. 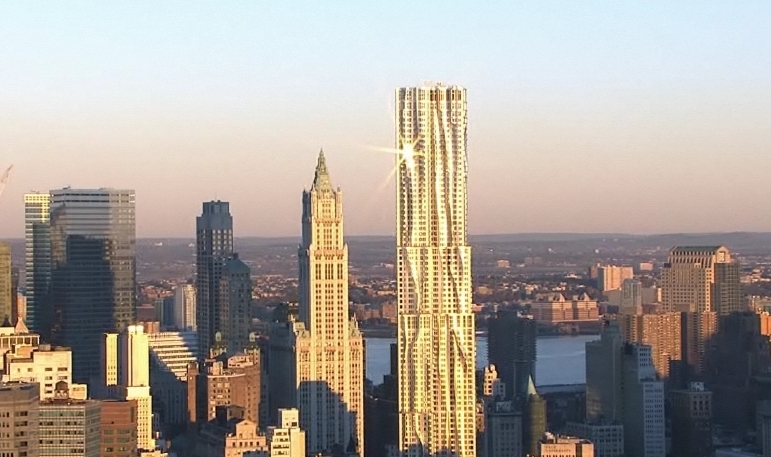 This tower titled New York by Gehry will be 265 meters high with more than 900 apartments. Watch the video and check the website.